Being business executive is not a simple deal. It requires a lot of effort to take everything under control. That is why an additional help is a need. Reporting tools are the top supporters in this way. Especially when they are OLAP reports. Today we are going to highlight OLAP reporting capabilities and identify why they are so popular nowadays. OLAP stores data in cubes, which have a star or snowflake-shape schema. In the middle of a star is a table that includes data aggregations and reconciles various dimensions. The main OLAP purpose is to provide effective reporting capabilities and make organization work more efficient. However, talking about reports themselves, what types of them do exist? According to generation manner, there are two basic reporting types: pre-generated and ad-hoc. This type includes reports that were pre-designed according to a template. They are regularly scheduled and cannot be queried on demand. Templates for those reports can be designed by IT specialists or business analysts themselves. Pre-generated reports are useful for continuous reporting and period visibility of the working results. Those reports in contradiction to the previous type are generated by the end-users in real time. Ad-hoc reports generation does not require IT support as they are created by BI users. But what about OLAP reporting? Online analytical processing is about ad-hoc reporting primarily. In this way, ad-hoc report is a synonym for OLAP report. Let’s highlight it in more detail. Reporting is one of the main purposes of OLAP. That is why the technology is all about to make this operation simple, understandable and available at any time. The remarkable characteristic of OLAP reports is that they are enable business users to get a response to any question on their demand. Those responses are based on the database connected to the application. This provides flexibility in constant changing business world as you are always have access to the relevant info any time you need it. 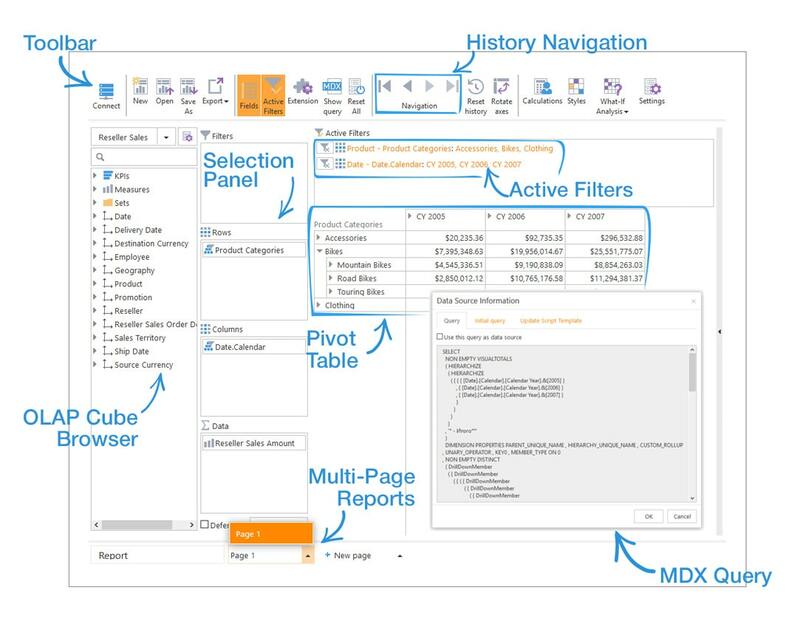 Those reporting tools require the need to write MDX or SQL queries. But the plus is you can write queries of any complexity based on your needs. You don’t need any IT knowledge: just drag and drop elements into the special designer area and the system will do the left itself. No need to write MDX query as well. Simple, interactive and easy-to use. Moreover, no matter which tool you use, the reports can be simple one-page tables or complex interactive multi-page crosstab reports. They can have sorting, filtering, and drill through options, as well as various ways to visualize data on charts, heat maps. Budget saving: no IT help is required as well as special trainings, so money on these recourses are saved. All the above mentioned tools, benefits and features you can find in Ranet OLAP reporting tool. It provides capabilities for data analysis from different perspectives. 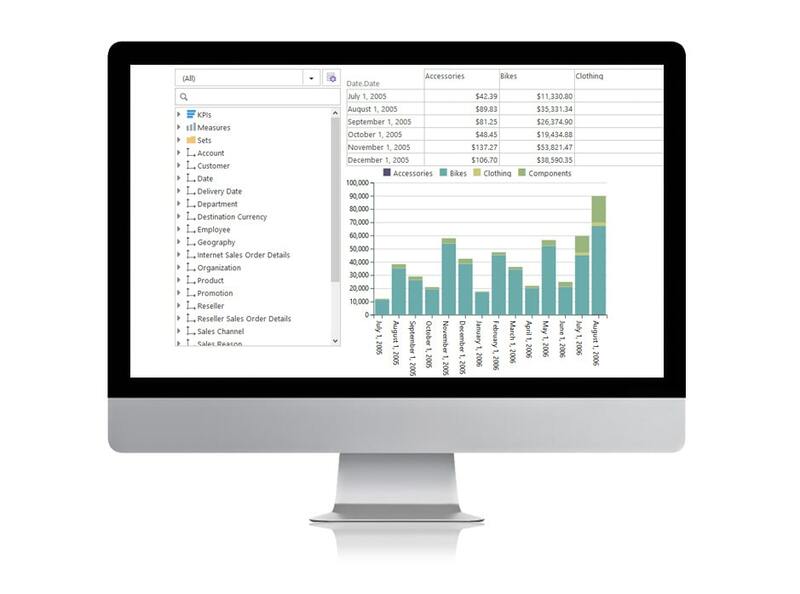 Ranet OLAP includes visual services, elements and controls for comprehensive business analysis. The product uses a single server platform and approach to UI implementation on HTML, WPF and Silverlight. Try it for free as Ranet suggests 30-day trial and demo. So check all the OLAP reporting possibilities yourself. 1. What is an OLAP report? OLAP usually uses the technology of ad-hoc reporting which is the model of real time reports generation used by the end-users on demand. 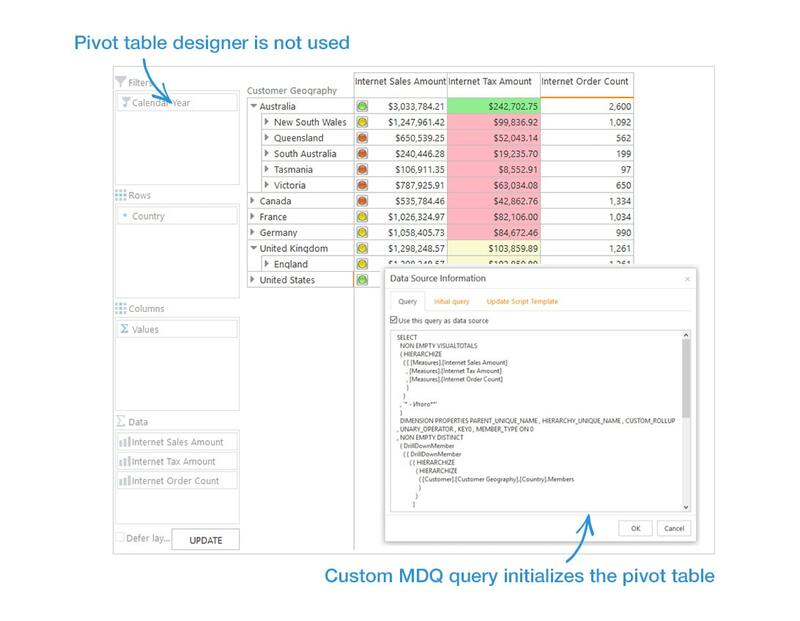 OLAP reports ensure a response to a single specified question based on the database connected to the application. They are flexible and allows always get information right on time. 2. What is the distinguishing characteristic of OLAP reports? 3. What are the top BI OLAP reporting tools?